Product prices and availability are accurate as of 2019-04-20 09:29:39 EDT and are subject to change. Any price and availability information displayed on http://www.amazon.com/ at the time of purchase will apply to the purchase of this product. Have Some Fun, Boost Your IQ And Improve Your Puzzle Solving Skills Thanks To The Best 3x3 Stickerless Speed Cube Which Is Now Available On Amazon! Have you been looking for an enjoyable, fun, challenging way to spend your free time and improve several different skills? Are you a fan of puzzle solving games that can keep you interested and sharpen your mind while helping you relax and relieve tension? Johnny Enigma presents you with the ultimate cyclone boys 3x3 puzzle cube which is the most interesting, engaging, entertaining and skills building toy for you, your kids and parents alike! Forget about cheap puzzle cubes that are sticky, giving you a hard time and making you feel frustrated once and for all! 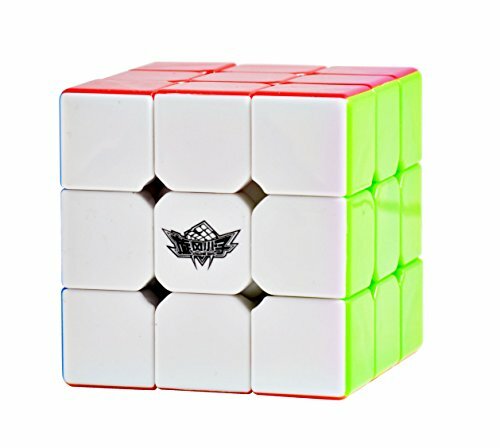 This amazing stickerless 3x3 speed cube is incomparably durable thanks to the premium quality ABS material it is made of. In addition, the tensioned and pre-lubricated solid construction will allow you to speed up your solving time as you advance to a higher level of proficiency! This must have stickerless speed cube is ideal for kids, teens, adults and older people who like to sharpen their minds while having nice, relaxing time. Improve various skills and cherish the feeling of fulfillment! Make this cyclone magic cube yours and enter the world of puzzle solving as a beginner or a professional player! Do Not Think Twice And Place Your Order Now Before We Are Sold Out Again! HAVE FUN, IMPROVE YOUR MEMORY AND SHARPEN YOUR MIND: How would you like having some fun while increasing your IQ and improving your memory? If this sounds like a good idea, this challenging toy is exactly what you need! 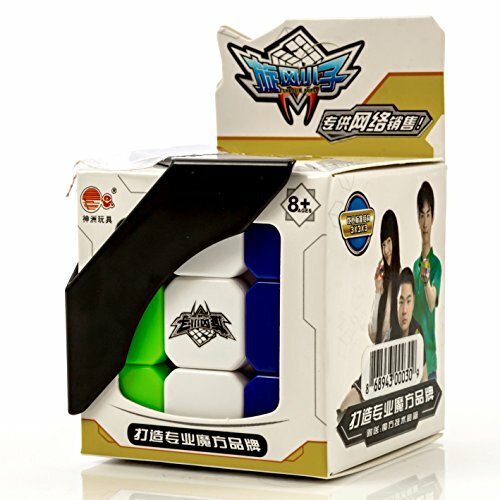 Make this cyclone boys 3x3 speed cube will help you relieve tension and sharpen your mind! A PUZZLE CUBE THAT IS BUILT TO LAST: Stop wasting your money on cheaply made Rubik cubes that fall apart at the drop of a glove! This top notch stickerless 3x3 speed puzzle cube is made of durable ABS material which is non-toxic and which assures extreme longevity. PERFECT FOR KIDS AND ADULTS ALIKE: Featuring an ergonomic design that assures easy handling and a size that facilitates a comfortable grip, this puzzle speed cube is ideal for little children, teens, adults and elderly people too! Pre-lubricated and tensioned, this cube will provide a smooth twisting and long hours of fun and relaxation for you and your friends! 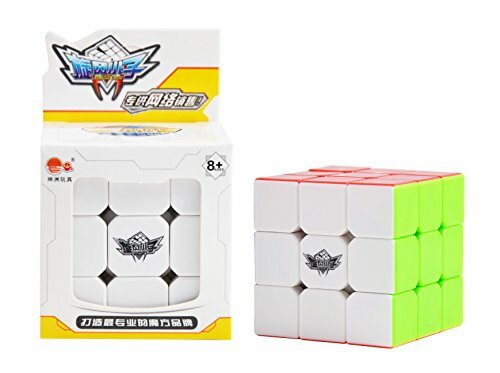 MAKE AN AMAZING GIFT: Apart from making this stickerless speed cube yours, you can also offer it as a gift on any occasion! The high quality materials, the unmatched fun it offers and the fact that it can be played by anyone, make this cyclone magic cube the perfect birthday, name day or anniversary gift! ENJOY A 100% RISK FREE PURCHASE: Keeping you satisfied and providing you with the friendliest customer service is our number one goal! This is why we stand 100% behind our products, offering you a full money back guarantee and assuring that making this 3x3 speed puzzle cube yours is entirely risk free.